I’ve always admired women in braids and cornrows. I’ve had them done before, over 8-9 years ago, but they were painful and took my hair out in a nice little patch in the front. I swore never again. I went natural this year and my TWA was in need of something else. I’ve tried coils, wash & go’s and even rocked a fro with a headband. I wanted something else. After asking around for recommendations from friends, I settled on a shop here in Philly called Mumy Awa at 5th & chew. I spoke to a lady named Fama and she put my mind at ease. I decided to give her a try. I settled on the updo, said a prayer and went in. She called her sister in to do my hair since she was busy. Bad sign!!! I should have ran out the door. Alas, I stayed. Sister wasn’t my cup of tea. She came is late, didn’t blow dry my hair and didn’t even introduce herself. I showed her a picture of how I wanted my hair styled and she was off & running. She talked either on the phone or to her girl friend in Senegalese the whole time I was there. I kept telling her she was to leave the “baby hair” out and not to braid it so tight. Needless to say, I now have an $80 facelift. I was so distraught. I texted my husband and sent him a photo. He liked it and said he hoped the pain was tolerable, for the sake of my sanity. He knows me oh so well. The cornrows got tighter as the day wore on. Steam, hot towels, showers, pain medication, sprays, oils, leave-in. I did it all, all day, everyday. I’m on day 4 and it still hurts a bit. I look amazing, but it wasn’t worth it. 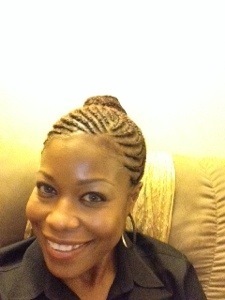 I’m what they call “tender-headed” and should probably never have tried to get my hair braided. The moral of the story: beauty is pain. 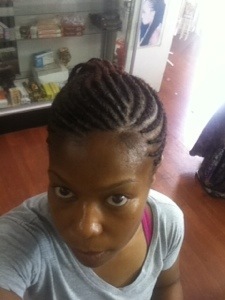 You guys can keep this cornrow stuff, I’m good. I’ve decided to pick up sewing again. My mom taught me how to sew when I was around 10 years old and I’ve gotten away from it, until now. 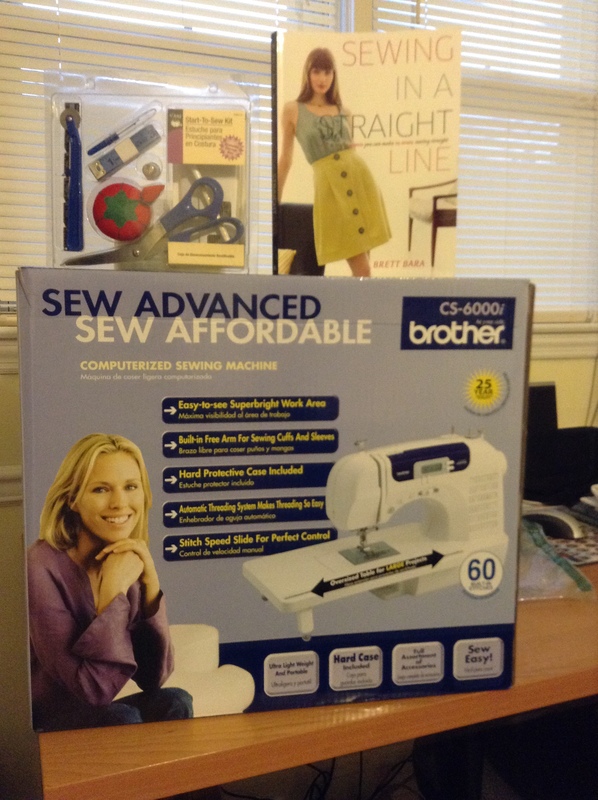 I purchased a wonderful litter starter sewing machine; Brother cs6000i from Amazon and I’m in love! It was suggested as a great starter machine on Mimi G’s Style Blog. I’m learning so much, even by the horrific mistakes I’ve made. Sewing is very relaxing and with all the high stress, high adrenaline hobbies I have, this is one that even my husband loves. I’m writing a little review on my new machine. The questions are courtesy of Sew Mama Sew, a terrific sewing, craft, & baking blog. I hope this information helps someone else choose their first machine. Happy Sewing! I like it. I haven’t fallen in love yet. I think that is because I’m still trying out all of the feet, settings, etc. I haven’t thought of a name, but I will now that you mentioned it. Light isn’t very bright. The Cover. It’s really nothing more than a cover. I was thinking it was a real case that you could carry the machine around it. Like my mother’s old Singer that she has to this day. Great price, comes with several presser feet that you’ll need for most any project, good manual, ease of use. No, not yet. I’m so new to this, I’d have to know more about sewing before I decided to upgrade. However I do see a serger in my future. I haven’t blogged in quite some time but all that will change. August/September were whirlwind for me. I visited my best friend on the planet, Riki in Redwood Shores, CA, then went to VMworld (tech conference) in San Fransisco, then flew home for not even a day. I turned around and flew to Miami to stay before I headed on an 8 day Caribbean cruise. I am not a fan of cruises, but I managed to have an amazing time. During that amazing time, I fractured my finger playing an amazing game of dodge ball then got a hernia somehow after that. 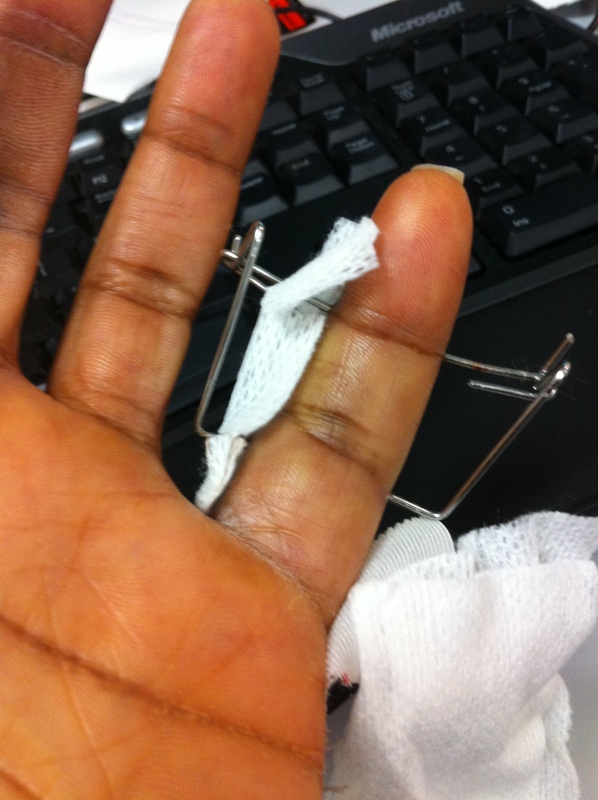 I had surgery on both and I’m back to work with new finger bling and a fixed hernia! I have a new hobby that I’m so excite to talk about so stay tuned. Looking towards a speedy recovery and more interesting blog posts too. Tech conference, cruises, broken bones oh MY!